Roger R. Soroka was born in Kiev, Ukraine in 1981. At the age of 8, his family relocated to Cleveland, Ohio. Mr. Soroka attended Miami University in Oxford, Ohio, where he studied Finance and Accounting. Mr. Soroka graduated from Miami University with a Bachelor of Science in Business and a Thematic Sequence in Accounting. He then moved to Columbus, Ohio to pursue his legal education, where he graduated Capital University Law School. After earning his law degree, Mr. Soroka became licensed in the State of Ohio and explored numerous opportunities for well-known firms in the Columbus area. Mr. Soroka left those opportunities to open a partnership with another Columbus attorney in 2009, and focused on Criminal Defense, Business Law, and Civil Litigation. In late 2009, Mr. Soroka formed Soroka & Associates, LLC. The firm practices in all Ohio Counties and both the Northern and Southern U.S. District Courts of Ohio. Mr. Soroka is a member of the Ohio State Bar Association; The Columbus Bar Association; The American Bar Association; Ohio Association of Criminal Defense Lawyers; Criminal Trial Lawyers Association; and the Business Tort Trial Lawyers Association. Every year since 2013, Mr. Soroka has been chosen as The National Trial Lawyers Top 100 and The National Top Trial Lawyers Top 40 Under 40. Mr. Soroka practices in several areas of law, including criminal defense (state and federal), business, commercial, and civil litigation, personal injury, and corporate representation. Mr. Soroka has vast experience in Ohio Courts; is not afraid to take on the toughest cases; and has secured numerous trial victories and dismissals when according to the prosecution, the odds were clearly against his clients. Mr. Soroka has successfully litigated both criminal and civil matters, and never shies away from a challenge. Furthermore, Mr. Soroka makes sure he is always available for his clients, by personally accepting phone calls and text messages 24 hours a day, 7 days a week. He is sympathetic to client needs, and understands that when faced with a legal problem, a client needs immediate help. 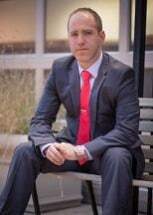 Mr. Soroka also utilizes his finance background and business experience by serving as Corporate Counsel for numerous companies and large corporations. He frequently advises business owners on entity formation and how to successfully operate a business.